I'd like to welcome fellow Astraea Press writer Shea Ford to my blog today. She's talking about her brand-new release - The Stone of Kings. I'm going to give away a secret. I've read the book and I'm not lying, it was amazing! It had so many good things to it. You wouldn't be disappointed. Beautifully written, full of juicy historical info, set in Ireland (my daughter's favourite place in the world), and filled with real characters and a gripping plot. Thanks so much, Kathy, for hosting me today! 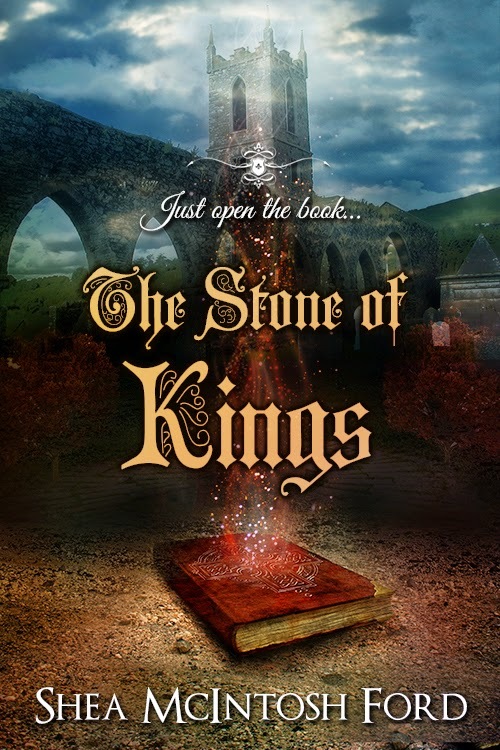 I’m thrilled to introduce The Stone of Kings to everyone! I’m one of those quirky folks who actually like to write research papers. After I finished college, I would get cravings to be assigned a research project. TSOK is a blending of my love of research and history with my love of fiction. I hope you guys enjoy reading it as much I did writing it. Abandoning his work as he was so prone to do when he got excited about something, Ardan led Thomas into the library, but not before doing the forbidden—he opened its closed door. Once inside the room, both of them forgot about looking for a story book. On Bresal’s hand‑carved writing desk was his curious little red book. The old scholar must have been distracted by the sight of his musician friend nearing the cottage from the library window and neglected to hide the book as usual. Its pages lay open, and unmistakable magic hovered over the leaves. They heard light random notes, like the sound of the tiniest of wind chimes played by a faint breeze. As they gaped, they noticed each tinkling sound corresponded with a tiny point of light which would burst and disappear above the book. Ardan could not answer. He began to wonder the same thing. His pulse quickened as he neared the book. “What are you doing?” Thomas dropped his voice to a whisper as he grabbed onto the boy’s shoulder. The color in his face had drained away. “I merely want to read it,” Ardan said. He shrugged away Thomas’s hand. But Ardan continued nearing. Despite his own warnings, Thomas followed closely behind. Ardan picked up the book and began to turn the pages. He expected to hear more sounds and see the lights dance quicker, but instead, these features decreased until the pages settled again. “What does it say?” whispered Thomas. Right away, the tinkling noise intensified as did the lights. But what shocked Ardan was the book lifted from his fingers and hovered in front of him. “Saints be blessed,” said Thomas and he let out a burst of high‑pitched laughter. They both stared in awe a moment until Ardan saw Bresal and Turlough advancing toward the house from their walk in the garden. “No,” he gasped. His heart hammered at the trouble he would be in if Bresal found them out. “Does it say how to reverse it?” asked Thomas, his voice raised in pitch. Ardan’s gaze scanned the pages, desperate to avoid punishment, but none of the lines written in Irish appeared to fit the need. When Ardan reached for the book to try another page, it shied away from him. Frantic, he read aloud one of the English lines without comprehending the meaning. The book filled the room with such a bright light, Ardan could see nothing else. 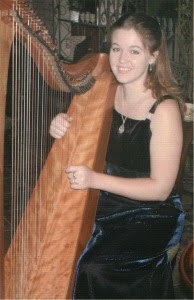 Shea McIntosh Ford is also the author of Harp Lessons and lives in Florida with her loving husband of eleven years and two boys, ages four and six. Growing up, she lived under the delusion that prejudice and bigotry were no longer being taught to children. Oh, how much she has learned. After feeling powerless as a first year teacher when one student adamantly said that Americans should send ALL Mexican’s back to Mexico, Shea has found her voice through her writing. While she knows that bigotry probably won’t be eradicated altogether, at least she’s doing her part to help decrease it. Thank you so much Kathy! I'm so happy you enjoyed it! :D And thanks again for having me on your blog today!